One of the best things about travelling to a foreign country learning about the culture. One way to learn about culture is by way of gastronomy. Colombia, like every country, has it own characteristic food and drink. I’m going to show some you may want to try when visit Bogota. 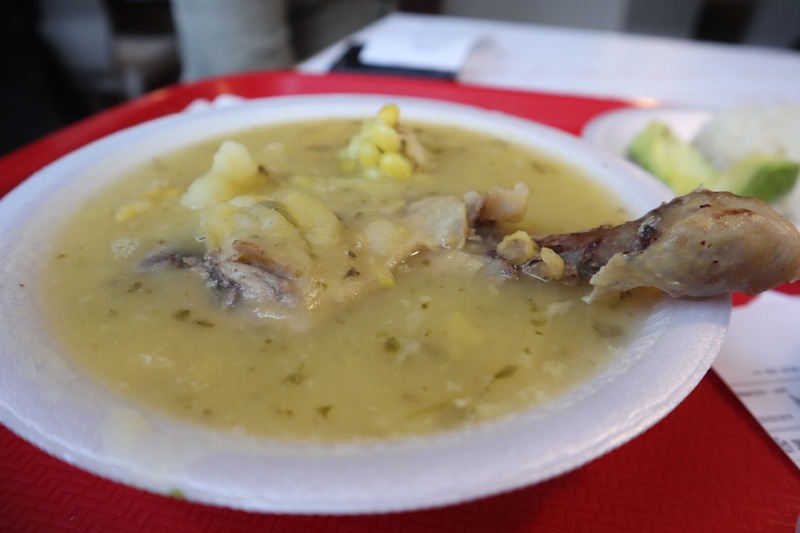 Ajiaco is a type of soup made with chicken. The broth is typically made of onions, garlic, green onions and cilantro. The dish usually includes several types of potatoes — including creole potatoes — and corn. It is typically made with the Galinsoga parviflora herb, commonly referred to as “guascas” which imparts a grassy flavor to the soup. Ajiaco is typically served with capers and sour cream. It may also be accompanied by rice and avocado. The tamale is a traditional dish In Bogota. The tamale is a dish made with a beef , pork or chicken. It includes a paste that typically includes chickpeas, carrots and spices. 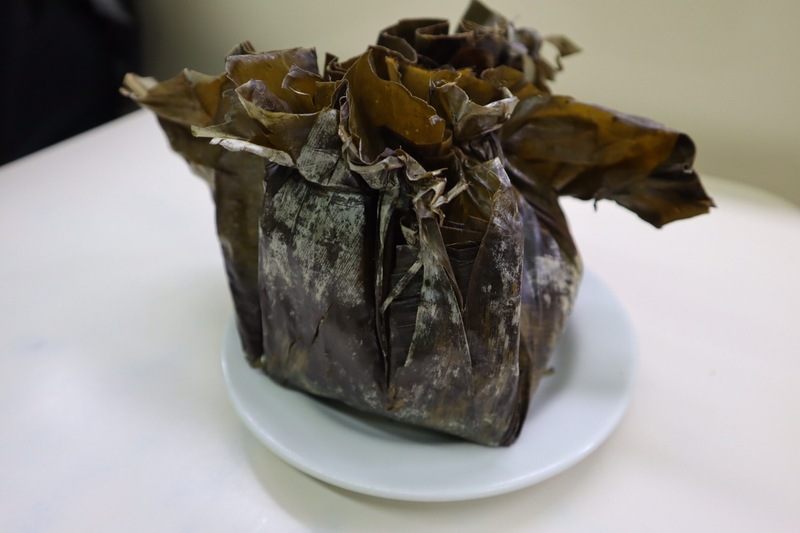 It’s all wrapped in plantain leaves and cooked with steam. Aromatica (seen above) is a tea-like infusion made in Colombia. It is typically made with fruits known to contain digestive enzymes such as pineapple, strawberries, kiwi, papaya and maracuya. 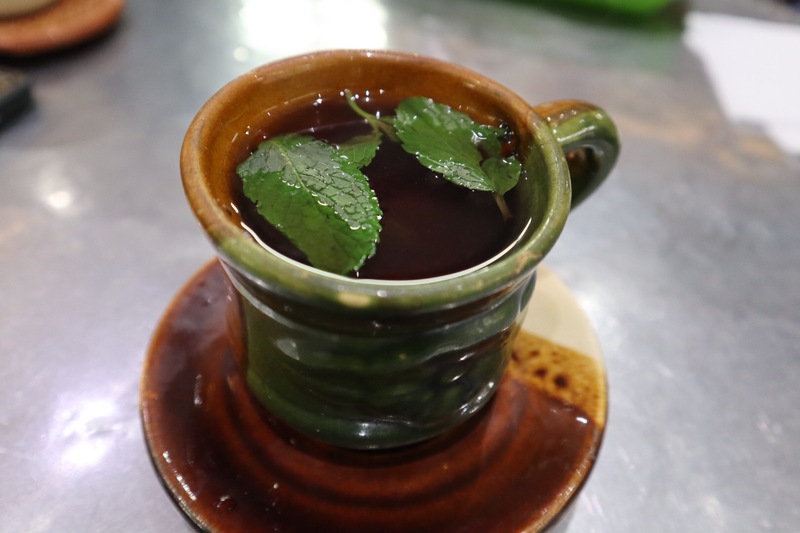 It is also made with herbs like mint and lemongrass and sometimes ginger is added. Aromatica is said to help visitors resolve altitude sickness. If you want to try a variety of coffee at the same time, head to Cafe Azahar and order the “cata de cafe”. You will receive a tasting of three in-season coffees grown and roasted in Colombia. 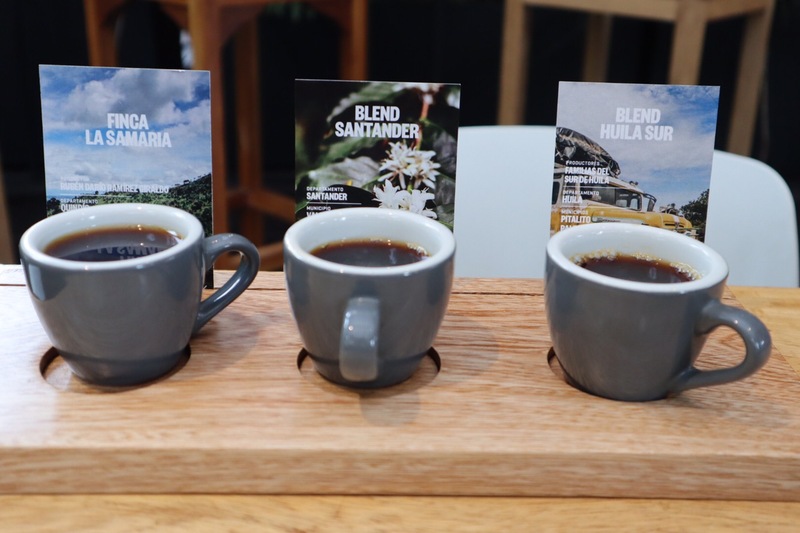 The three cups come accompanied by cards that provide factoids such as the producer of the coffee, the area or “Departamento” of the coffee’s origin and the altitude at which the coffee is grown. Of course, Colombia is known for its coffee. Above, see the coffee with milk as pictured at Bogota’s Paloquemao Market. If you want a coffee with milk in Spain, you will probably ask for a “Cafe con leche.” However, in Colombia, you should ask for “un perico”. Enjoy eating and drinking your way across Bogota. Buen Provecho! ← The Lulo Fruit, Bogota, Colombia.